Ventura Wildlife Park is a unique community based wildlife park set within approximately 2 acres of grounds. The park is located just off the A414 and A10 in Great Amwell, on the outskirts of Ware in Hertfordshire. Ventura Wildlife Park is home to a variety of animals including zebra, emu, wallaby, red kangaroo, reindeer, lorikeets, lemurs, snakes and lizards as well as Madagascar's largest carnivore, the fossa, and the UK's only Cuban Hutia. Our aim is to allow guests of all ages and abilities to discover more about wildlife in an safe and interactive way. Guests can get closer to the animals through our free daily activities which include interactive animal feeds, talks and animal encounters. We also offer a range of animal experiences for those looking to get behind the scenes. We look forward to welcoming you on an exciting adventure. Enter through the gates of Ventura Wildlife Park and you will be in ‘Adventure Island’. This zone is home to some of the worlds most charismatic and important tropical island dwelling species. Here you will come face to face with ring-tailed lemurs, mongoose lemur, fossa, snakes, lizards, lorikeets, tropical wader birds as well as the UK’s only Cuban hutia and red-rumped agouti exhibited in a zoological park. Adventure Island is also home to the ‘Explorers Lodge Educational & Events Centre’, a unique explorers themed educational venue ideal for schools, colleges, universities and other educational groups. The ‘Explorers Lodge’ is also available to hire for private functions and meetings. 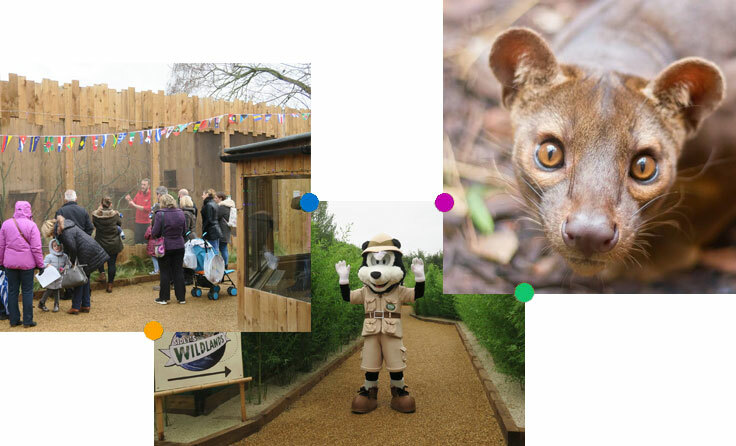 For zoo visitors the ‘Explorers Lodge’ is home to our interactive Animal Encounters shows which are run at various times throughout the day on weekends and school holidays. These shows last approximately 30 minutes and provide the perfect opportunity to discover some of our behind the scenes animals. Once you have enjoyed the wonders of ‘Adventure Island’ your journey will take you into ‘Sidly’s Wildlands’ where you will join Ranger Sidly on a mini adventure around the world taking in North America, Northern Europe, Australia, Africa and South America. Here you you will be able to get up close to a variety of species including reindeer, emu, red necked wallabies, parma wallabies, grant’s zebra, llama and alpaca. 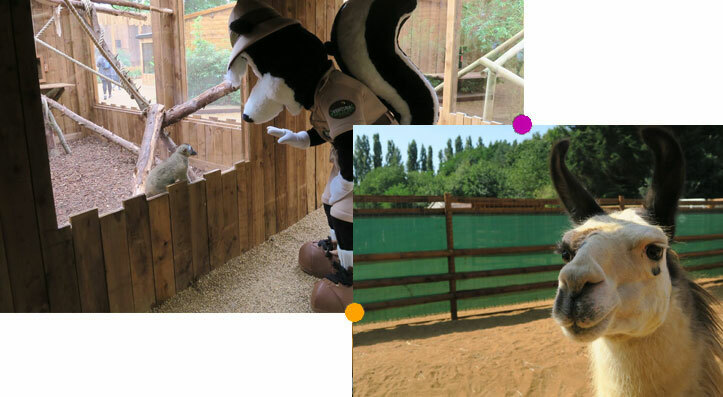 As an educational and conservation let zoo gardens we have a variety of daily activities for guests to enjoy including; interactive animal encounters, animal talks, animal feeds plus character meet and greets with Sidly the the Skunk our mascot during the school holidays and on weekends. Remember with your admission ticket you can enter and exit the zoo as many times as you wish during your visit.